At our travel blog Flynous.com we help travellers to score the cheaapest available solution to various Worldwide destiantions. We design our deals for modest travellers. that can (sometimes) accept longer layover or tickes with not a perfect routing. Our blog deals help to save while in air. However there are still plenty of options how to save when “on the ground”. One of the easiest things that may grants some huge saving is free accommodation at connecting airport. This is being offered by plenty of (top ranked) airlines. such as Etihad Airways, Qatar Airways, Emirates or Singapore Airlines. Thats why we have decided to prepare our complete list of Airlines offering free hotel during layover! We all know how tiring it can be spending half-day at the airport. Now, if you know how and where. you may turn this into great experience and easy way. to actually have two vaccations for the price of one at no extra cost. That´s why there is this list of airlines offering free hotel rooms during your stop-over…We post plenty of interesting tips for cheap flight deals we spot via tools such as Google Flights. Ocassionally we post even error fares or other incredible promotions. There are still some great options how to save while flying with Airlines offering free hotel during layover. Of course we start our list of airlines offering free hotel during layover with Qatar Airways, recently awared as “Airline of the year 2015” by Skytrax. In certain cases this top ranked carrier offers free hotel stay during layover in Doha. Also entry visa, transport and meals to passangers with transit time in Qatar between 8-24 hours. Only valid when there is no earlier connection available*. (less than 8 hours). However, not all fares are eligible for free hotel in transit during your stop-over with Qatar Airways. To confirm whether you can get this advantage please contact them directly via below link. Our latest deals based on this carrier here. Also, currently you may consider to use this Qatar Airways promo code. (10% discount of base fare working from most of markets). Qatar Airways free hotel during layover in Doha official conditions to be found here. *Free hotel booking is not available for flights to or from Abu Dhabi (AUH). Bahrain (BAH). Dubai (DWC), Dubai (DXB). Kuwait (KWI), Muscat (MCT). Ras Al Khaimah (RKT) and Sharjah (SHJ). This carrier, althought established in 2003, already belongs to premium carries and one of top ranking airlines in the World. They are offering to their customers some great option how to save when transferring via their headquarter in Abu Dhabi, UAE. Firstly, passangers of booking class F or J may get Etihad Airways free hotel in transit during layover. Also travellers who miss their connecting flight due to delays and are stuck at Abu Dhabi airport for a period of time that is long enough to spend some time at the hotel. We post plenty of attractive deals with Etihad Airways. To find latest offers we post at Flynous just check here. 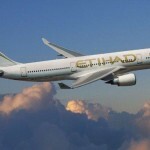 Booking cheaper flights with this carrier you may check this latest Etihad Airways promotion code. You may easily save 10% of base fare. This discount code works on most or Worldwide markets. Etihad Airways greatly discounted hotel during layover in Abu Dhabi, UAE to be found here. 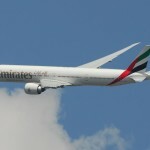 Another top airlines in this industry, Emirates, with its main hub in Dubai are offering various services in UAE (called “Dubai Connect”) for their customers that are matching below requirements. Visit one of the most developing cities on top of with amazing Burj Khalifa, the tallest building in the World, for free and in a style! Passangers in Economy Class for whom the the best connection time is exceeding 8 hours and is less than 24 hours may benefit from Emirates free hotel accommodation in Dubai transit. Free meals, ground transportation and visa costs as well. (its 6-24 hours for Business / First Class passangers). You need to book Dubai Connect at least 24h prior your inbound flight to United Arab Emirates. However some travellers are reporting that this service is available only for passangers with tickets valued over USD 1000. To easily find out whether you may benefit from this Emirates offer just log in to your reservation. If you see “Dubai Connect” sheet you are the winnter…Further terms and conditions of this Emirates promotional offer apply. If you need to book your flight you may also consider this Emirates promotion code granting 5% discount off base fare. This is working for travellers flying from main hubs in UK. Our latest Emirates deals here. Emirates free hotel during layover in Dubai official conditions to be found here. One of the most respectful airlines in the industry, 5* Singapore Airlines, offers to their passangers some interesting option as well. In this case it is not entirely free hotel room in transit when experiencing long layover in Singapore Changi airport. but you can save some great money when using their promotional offer. They are offering to their passangers greatly discounted accommodation with free transport between airport and hotel. They claim that for SGD 80 you may get holiday package worth more than SGD 450. They call it Singapore Stopover Holiday promotion. Since we know how expensive this city is we consider it as great opportunity! 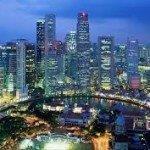 Singapore Airlines free vocucher and greatly discounted hotel during layover official conditions here. Also, new opportunity for customers of Singapore Airlines is live while transferring. They call it “Changi Transit Programme”. Until 31st of March 2017 you may redeem SGD 40 voucher when you transit via Singapore. However only travellers from following countries are eligible to claim this Singapore Airlines promotional offer. : Australia, China (Mainland), Denmark, France, India, Indonesia, Italy, Netherlands, New Zealand, Russia, South Africa, Spain, Switzerland, Turkey and United Kingdom. For further details of this deal you may follow here directly to the website of the carrier. Latest Singapore Airlines promotional deals posted at our blog here. 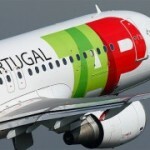 Annother airines offering free hotel in transit during layover is TAP Portugal. With its HQ in Lisbon, this carrier is offering its service to North and South America and Africa. (USA, Venezuela, Brazil, Senegal, Ghana, Mozambique etc.). TAP offers its customers free hotel during ovenight layover on a complimentary basis including continental breakfast. As usually some restrictrictions apply. Firstly, this is valid for a long-haul flights only. Also TAP Portugal is offering free hotel during layover for those making booking of a ticket where all legs operate TAP. Also, if you are want to book free accommodation you need to make this in advance. (At time of ticket purchase). You need to make this directly, just follow below details and book your free accommodatin during layover with TAP Portugal. Note that as of 1st of April 2017, hotel is no longer guaranteed and is subject to availability.. TAP Portugal free hotel during layover in Lisbon official conditions to be found here. Not that you can exactly get free hotel during layover with Finnair but they offer some interesting option we want to include in our list. Finnair, connecting countries in Europe, North America and Asia is offering up to 5 days free stop-over in Helsinki. They are now offering to their customers to book free stop-over in Finnland including discount on holiday packages starting at €85. As Scandinavia is in general extremly expensive consider this promotional deal with Finnair. You can book free stop-over in Helsinki only when making new purchase and directly with the carrier. Further details of Finnair free stop-over in Helsinki to be found here. 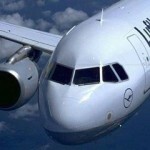 “Best European Airlines” already offers great on-board service. You have now also great opportunity to save while on ground with Turkish Airlines complimentary free hotel accommodation during layover in Istanbul. (max 2 nights). The only conditions we are aware of is that your waiting time is over 10 hours. (Its 7 hours for Business class passangers.). Of course only valid when there is no earlier connection flight on your route and all legs serves Turkish Airlines. Another option they offer are free sightseeing tours. Either you are interested in free hotel during layover or the Istanbul tour just follow below to the web is the carrier. Turkish Airlines free hotel during layover in Istanbul official conditions here. African carrier is a great choice if you travel to various destinations in Africa. They are offering service to various exotic countries such as Zambia. Botswana, Malawi or Mozambique. Some flights require long stop-over in Addis Ababa. In such case this airlines are offering very most generous solution. Anyone with layover between 8-24 hours is treat with Ethiopian Airlines free hotel during layover. This includes transfer from an airport, mean vouchers and visa service. (as long as you can get them upon arrival). Note that offers is valid only when there is no earlier connection available. This is the only limitation, no matter which booking class you fly! Ethiopian airlines free hotel during layover in Addis Ababa official conditions here. This carrier, top ranked among North American airlines is great solution if you fly through their main hubs in Montreal, Toronto or Vancouver. They are offering new programme “The Air Canada Stopover”. 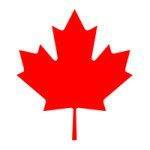 As long as you book an internation flight you may get free Air Canada hotel during your layover. This offer is valid for tickets iin Business, Premium Economy or Latitude classes. When travelling in Tango / Flex class you may get discounted accommodation starting at just USD 49. Seems that its possible to get free one night hotel stay in Canada only when booking your ticket directly with the airlines. This service is necessary to book at least 96 prior your departure. Another service making your journey easier with Air Canada is free access to local lounge during your stop-over. Air Canada free hotel during layover in Montreal, Toronto or Vancouver details here. All Asiana Airlines flights are offering free hotel during overnight layover in Incheon Airport., Seoul. (when your next flight with this carrier is over 8 hours. Hotel has to be booked via their office 72h prior departure). They even allow to purchase stop-over in South Korea on all their flights at no additional cost. (however its not possible to claim free accommodation). However, there are not any official notes nor promotion at their website. Please contact their representative to confirm that you are eligible to get free hotel in transit for your flight schedule / booking class. If you are connecting in Brahrain from one Gulf Air flight to another you may be entitled to free hotel in transit. Some regulation apply. Firstly, the flight has to be Gulf Air flight number. (Codeshare flights are valid as well). Passanger who has purchased his ticket under booking classes J, C, D, Y, H, M, L may get Gulf Air free hotel during layover in Bahrain. (as long as their stop-over is over 8 hours and there is not any earlier flight available). Customers with booking classes I, P, B, K, X, Q, V, E, O, N, S, W, T, G may get discounted accommodation at a charge of USD 55 per adult. (USD 30 for children 2-12 years old. no charge for infants). However, to be eligible for free hotel stay you need to physically visit nearest Gulf Air Sale office and claim your accommodation voucher. Gulf Air free hotel during layover in Bahrain official conditions here. This Chinese flag carrier is offering free accommodation upon arrival no matter which booking class you fall into. The only limitation is that you arrive at one of below airports before 1 a.m. and you will stay max 24 hours. 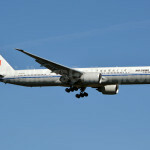 If you match this you can easily ger Air China free hotel in transit during layover in following cities. : Beijing, Chengdu, Dalian, Hangzhou, Shanghai. This includes transport from airport. Another advantage when flying via Chinese airports is that you can get free up to 144h visa. If you are a bit more advangerous you can easily visit another culture during your travelling! Air China free hotel in transit during layover in China official conditions here. This is another Chinese carrier offering generous service while you transit via one of their hubs in China mainland. (Its either Shanghai, Kunming or Xi’an to be exact). The main requirement is that your purchase is directly via their official website. If you did so you can get free China Eastern Airlines hotel during layover in China. (as long as you are connecting domestic or international flight next day). They offer max one night complimentary transit hotel accommodation service. China Eastern Airlines free hotel during layover in Shanghai, Kunming or Xi’an official conditions here. This carrier, headqueartered in Baiyun District, Guangzhou, China is offering some great solution for their passangers as well. Any passanger travelling on China Southern Airlines flights. (This includes international codeshare flights labeled by CZ prefix). Or those connecting from domestic flight to international with stop-over at least 8 hours. (max 48 hours). are eligible for China Southern Airlines free hotel in transit during layover in China. Good thing is that most of European citizens are allowed to get free 144h visa upon arrival. so this is excellent option to experience another culture. during your trip to various destinations in Asia as well as Australia and Oceania. China Southern Airlines free hotel during layover in China official conditions here. Customers of a Chinese carrier xiamen Airlines who are connecting on an international flight to next international flight via their main hub in Xiamen are entited to free hotel during layover in Xiamen as long as they meet following conditions. Firstly this free hotel in transit is not available for passengers who booked their ticket in G/Z/X/O Class. If you have booked in any other booking clas you can get Xiamen Airlines free hotel during layover in Xiamen as long as your stop-over in China is within 6 to 24 hours. Also all flights of your ticket are carried by Xiamen Airlines (no codeshare nor charter flights). Note that this Xiamen Airlines offer contains only free hotel in transit. Any additional service (meals, drinks but also transportation fee between airports and hotel) are on customers expenses. If you want to apply for Xiamen Airlines free hotel during layover you can do so upon arrival at a transit desl. (Domestic Arrival Hall of Terminal 3). Xiamen Airlines free hotel during layover in China official conditions here. 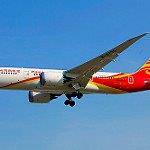 5* Hainan AIrlines offer their customers free hotel during layover in China. You can take advantage of this generous offer when transering from domestic or an international flight to another via main hubs in Beijing, Xi’an, Haikou, Guangzhou., Lanzhou, Dalian, Hangzhou, Pudong district of Shanghai, Chongqing ,Changsha and Shenzhen. You are entined to Hainan Airlines free hotel in transit when your next HNA flight is more than 6 hours and/or on the next day. (Note that via Beijing you can get free hotel only when your next flight is on a next day but travelers with less than 6 hours may benefit from free entry to Hainan Airlines Transfer Lounge). Note that this offer is for free hotel only. Meals and other expenses shall be paid by the passengers. The conditions are not that simple in case of this carrier. Simply follow below link for further detials of a free transit hotel with Hainan AIrlines..
Hainan Airlines free hotel during layover in China official conditions here. Travellers are reporting that this carrier offers free hotel during layover in Amman as long as your stop-over from one RJ flight to another is at least 8 hours. (Note that hotel is only eligible to certain destinations. Follow below link to see list of excluded countries). Royal Jordanian should also take care of transit visa but you can not leave your hotel. If you fly with this airlines and you are interested in Royal Jordanian free hotel in transit during your layover in Amman we recommend to contact them prior booking. Royal Jordanian free hotel during layover in Amman official conditions here. Seoul based flag carrier of South Korea is offering free overnight hotel during layover including possibility to enter local lounge. This apply under following conditions…layover in Seoul is over 12 hours (or 6-12 hours if you arrive between 12am and 3am). Only passangers on Korean Air international flights (only operated by this carrier, no code-share flights) are eligible to get Korean Air free hotel during layover in South Korea. (There are few exceptions on code-share flighs between Seoul and Amsterdam or Paris). Also depends on your booking class. (see below). Still this carrier deserves to be on our list of airlines offering free hotel during layover. If you are not eligible to get free accommodation in Seoul you can still take the advantage of free sightseeing tour. (They offer 5 different routes). Check here official details at Korean Air website. 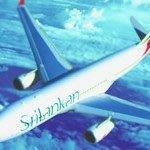 Sri Lankan Airlines free hotel night stop during layover in Colombo official details here. This company is another carrier on our list of Airlines offering free hotel during layover. Althout without offical word whether they offer free transit hotel or not. Being in touch with travel community we have managed to find out that its however possible! Seems that passangers with over 6 hour layover in Egypt can use this benefit and get free transit accommodation in Cairo. People are reporting that only local office in Egypt is aware of this. They advise to contact following email address to get formal confirmation if you are allowed to book this service. : stationcallcenter(at)egyptair(dot)com. 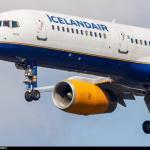 Iceland main carrier with its HQ at Reykjavik airport is not offering free accommodation. nor city tour but we have put it on our list as they offer another interestiong option. When using their service you can book free stop-over in Iceland in each direction. This stop-over can not exceed 78 hours. This is excellent solution especially when travelling between Europe and North America as Iceland is perfectly located on the way between both continents. In fact we love this offer and have shared plenty of options, to our readers based on this promotion. Just have a look here to make an idea how cheap multi-city flights you can book during their promo sale. Iceland is an unique place that real traveller should not miss! Icelandair free stop-over in Reykjavik official conditions here. Our reader Luke has informed us about another two carriers offering free hotel and/or other service during layover at their main hub. First one is Moroccan flag carrier Royal Air Maroc with it´s headquarter at Mohammed V International Airport, Casablanca. As per their official note (see below link) they offer free hotel, meals and transfer to/from hotel to their customer travelling international with over 24h layover in Casablanca. However Luke infromed us that his personal experience is that they grant you this benefit even if your layover in Morocco is 4-5 hours. Ask when you at check-in couter whether you are eligible for this benefit..
Royal Air Maroc free hotel during layover in Morocco official conditions here. Although not oficially advertised we are being told that also this airline is offering free hotel during layover in South Africa. Our reader Luke has personal experience asking upon arrival in Johannesburg when his the earliest connection flight was the day after..
As you can see, if you are adventurous traveller you may save great money and visit another city or culture on your trip nearly for free. ( or at least save some great money). If you are looking for some general tips how to save your money when purchasing your air tickets with Airlines offering free hotel during layover you may also check out our next article. Just dont expect that the carriers will automatically tell you that you can get free transit hotel, food voucher or transport. Of course this brings them additional expenses. But being a little bit assertive then you can save some great money and see more! In the end, memories should be your the most important thing to remember from your trip..
That was our list Airlines offering free hotel during layover, what next? If you can not book your accommodation we have another solution for you. Various hotel booking agents are offering promotion codes offering various discount. Check our posts with Hotels.com, Hotelopia, Ebookers, Venere or Otel.com. Happy (budget) booking of cheap flights with Airlines offering free hotel during layover. (Or discounted accommodation). and fee free to share this post. Need some inspiration for your next trip? Why not see our list World´s most amazing destinations you probably did not know. Not only budget travellers will appreciate our next entry Top exotic destinations you can afford. Do you have personally different experience with above airlines? Or do you know any other carriers offering some interesting ground service? We will be more than happy to hear from you at info(at)flynous(dot)com!